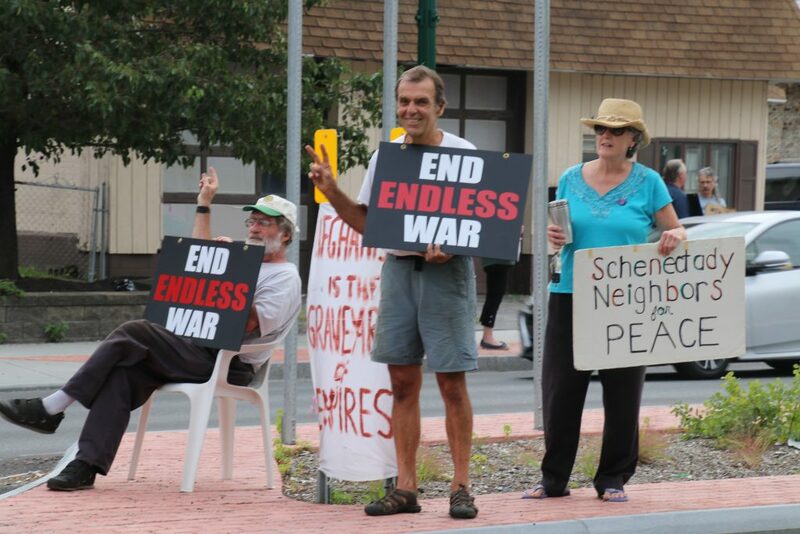 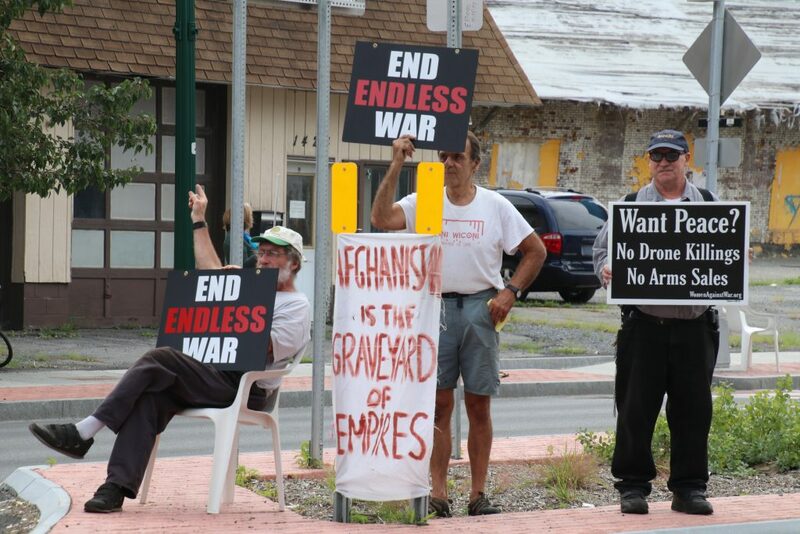 What was especially nice about this billboard launch (on Erie Blvd a little past Monroe Street in Schenectady) was the planned participation of many members of Schenectady neighbors For Peace who moved their usual Friday Noon vigil to the location of the billboard and arrived with signs and lots of energy. 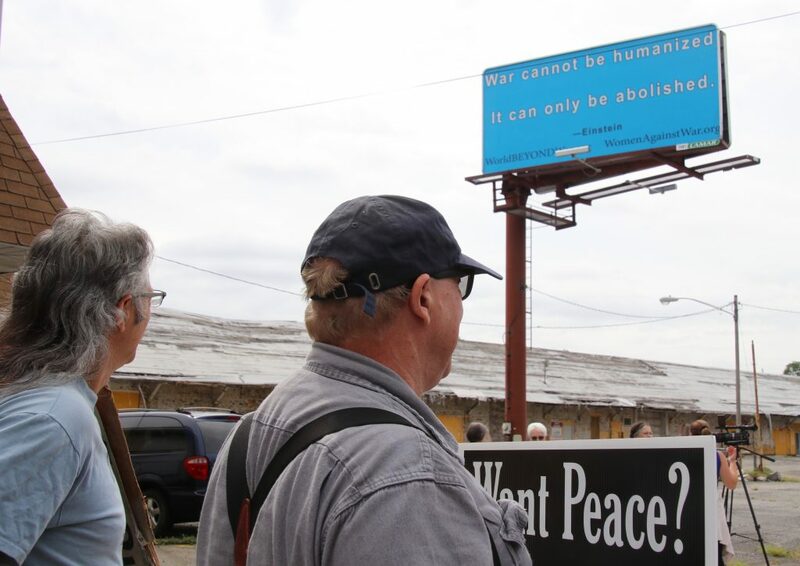 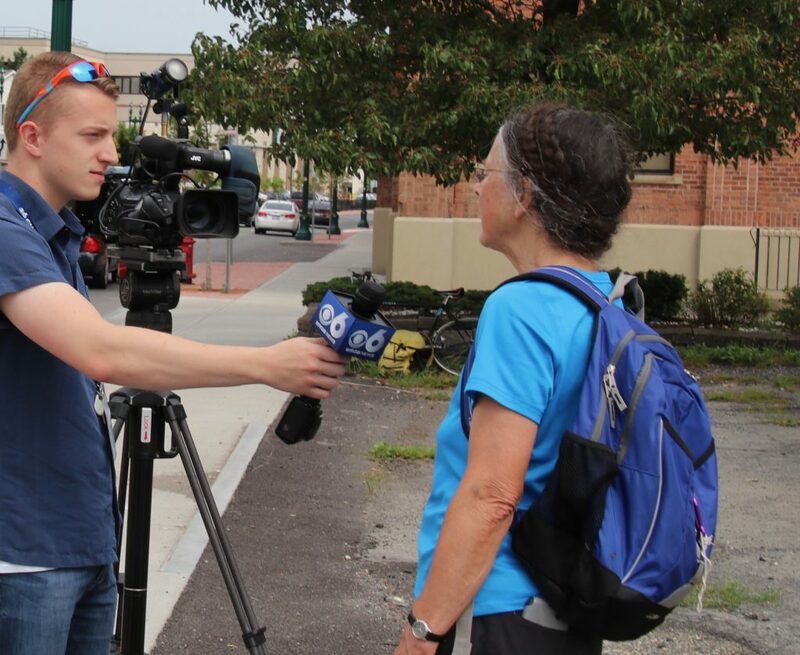 As photographer, Lori Van Buren headlined her photo in the TU Regional Section on September 9th “Peace Groups Team Up for Billboards” And speaking of media coverage, thanks go to media maven Maureen Aumand who reached out to attract two TV stations as well as the Times Union. 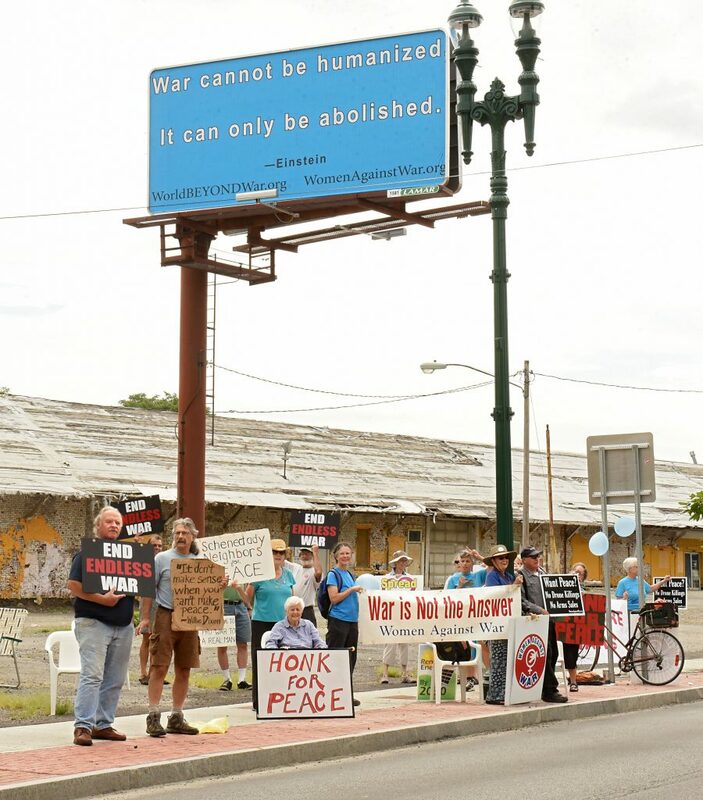 Here are two unpublished photos of the billboard and the late vigil gathering taken by Lori Van Buren of the Times Union. 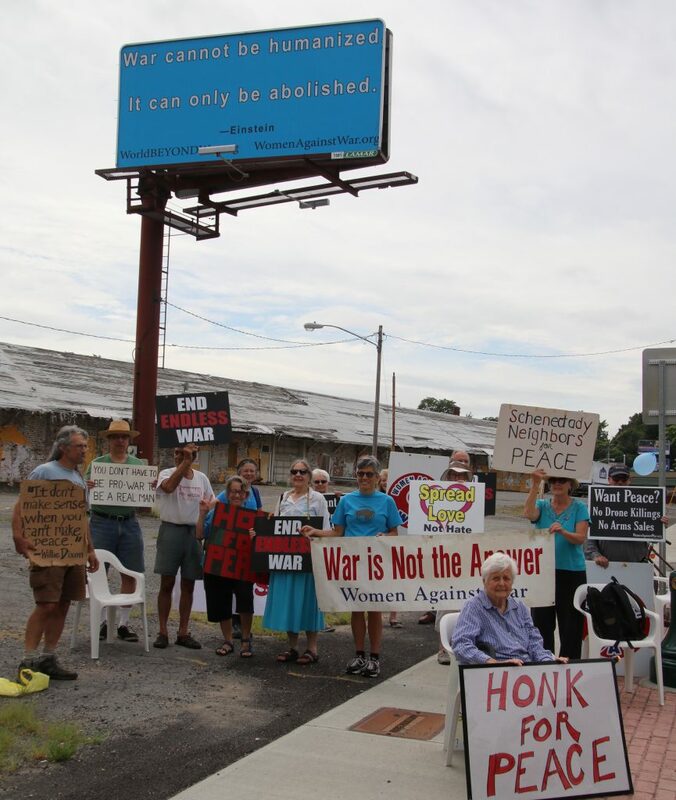 When we gathered together around 11:30 am that morning there was a growing number of Women Against War joining the vigil to support the message and attract the attention of drivers on the busy boulevard. 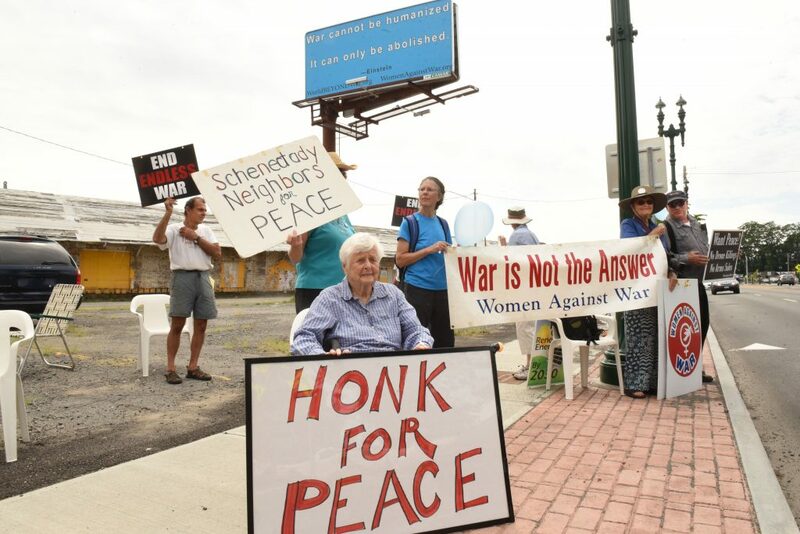 Jackie Donegan of Schenectady Neighbors for Peace had a large sign reading Honk for Peace, which elicited much honking and raised our spirits. 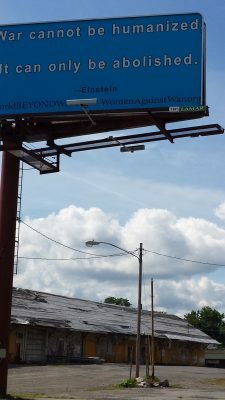 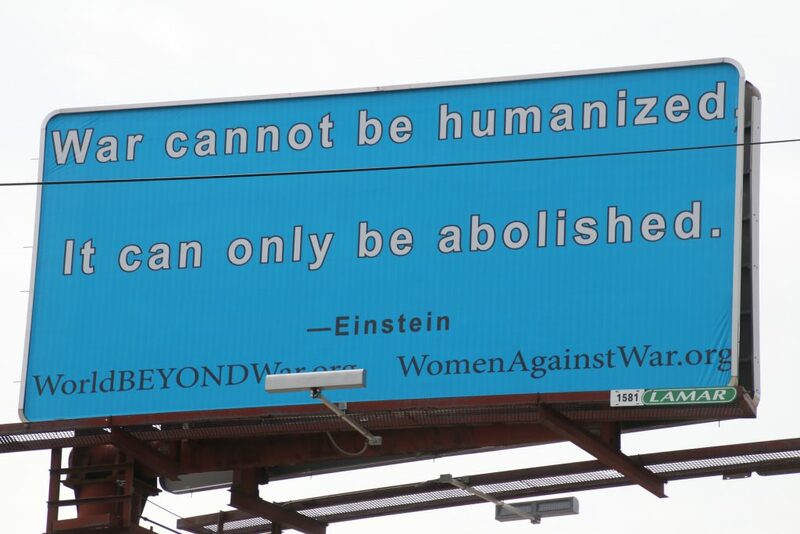 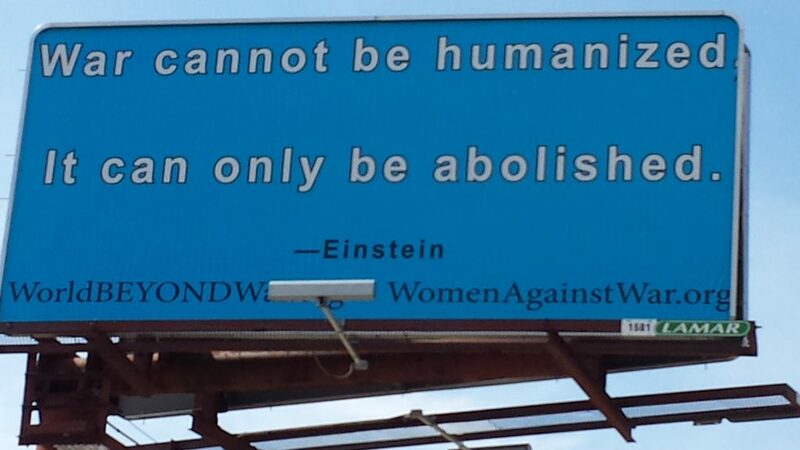 One more excellent piece of writing came out of the billboard launch in the form of a letter to the editor from WAW member and Steering Committee member, Kate Cavanaugh. 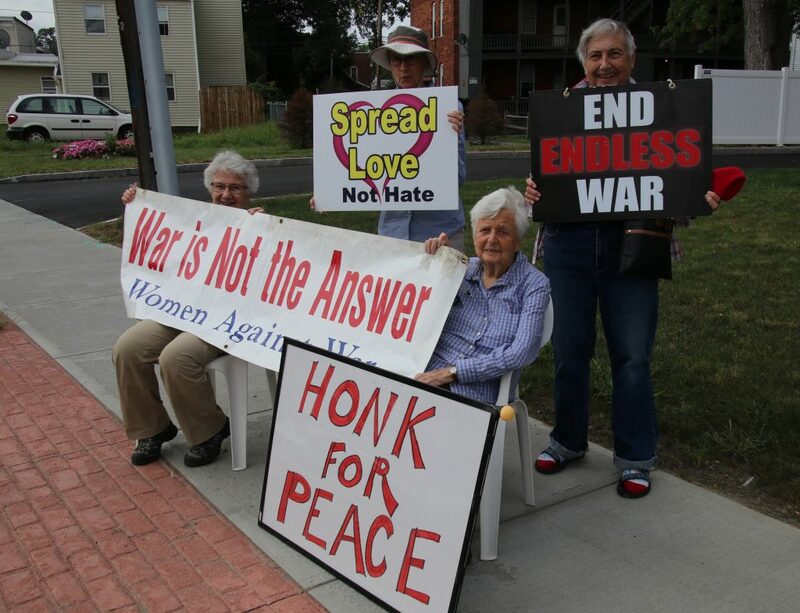 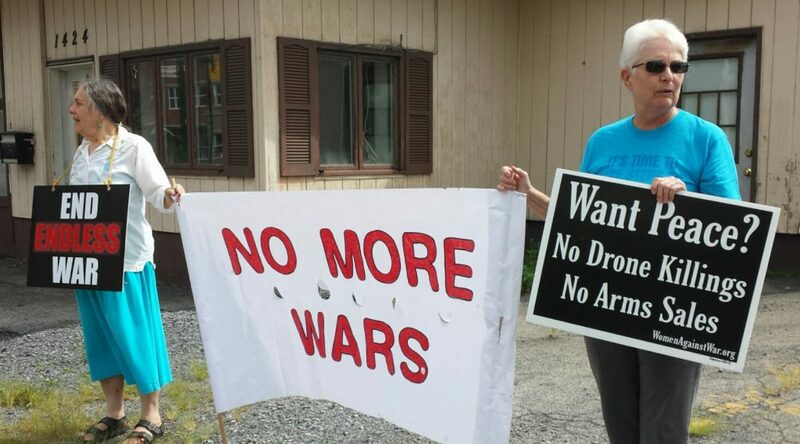 She further explored Albert Einstein’s ideas about war, and created a bridge to the Grannies for Peace September 21st vigil to End Endless War. 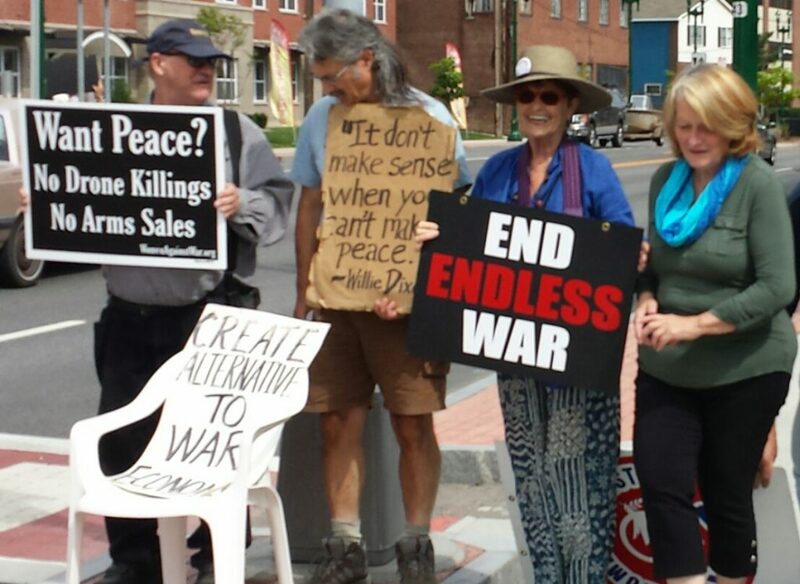 Martin, Greg, Mabel and Maureen at the September 7th billboard launch in Schenectady NY. 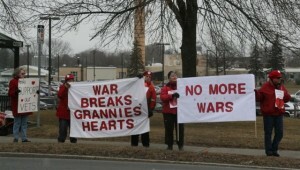 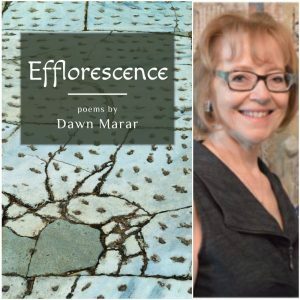 Photo by Priscilla Fairbank.